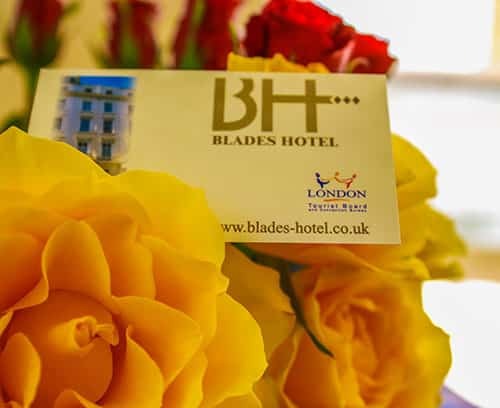 Situated in the heart of London, Blades Hotel is a privately-run hotel offering a friendly welcome and personal attention. 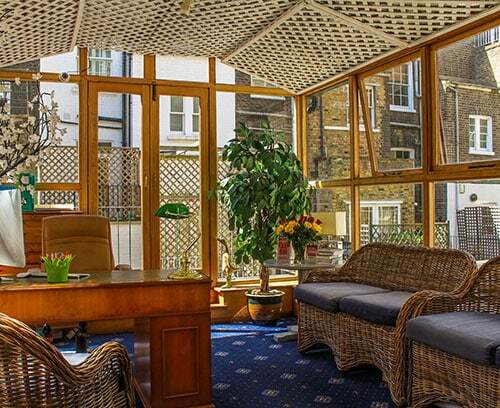 It is located in London’s central area of Victoria, Westminster and Belgravia. 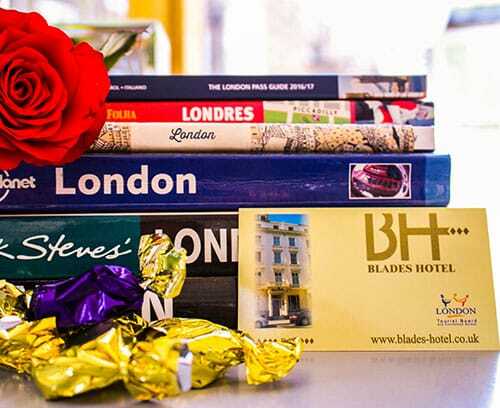 Blades Hotel is conveniently situated in a quiet, residential area within walking distance of many famous landmarks such as Buckingham Palace, Westminster Abbey, The Tate Gallery, Harrods, the Houses of Parliament and many theatres and museums. I booked the hotel in late June, after looking at scores of hotels on various sites. 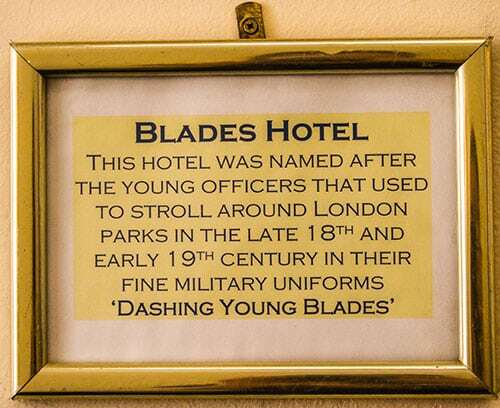 I chose Blades because the rooms looked bright, and the decor pleasing to the eye.After booking a double room I wrote to them requesting a room on the first floor. They wrote back at once assuring me the same.I found the hotel clean and comfortable, the staff friendly and helpful. The location is excellent. My husband and me spent two nights at Blades Hotel. We had a extrem friendly receipt (thanks Antonella for all the good recommendations). 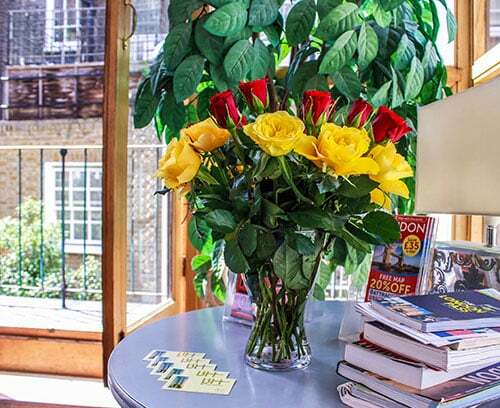 Five minutes by walk to underground station “Pimlico” or ten minutes to “Victoria station”!